Published from the artist's original watercolors. 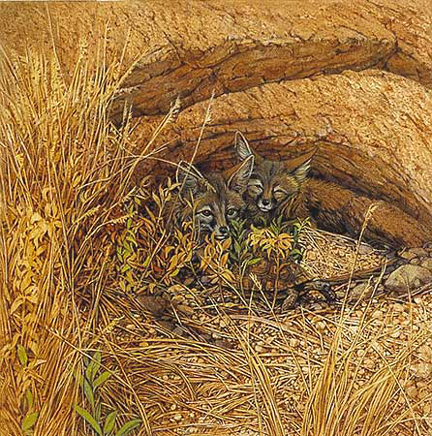 "Fox Haven" is one of four open edition prints that are single panels from Bev's famous piece, "The Earth is My Mother". They can be framed with coordinating framing and hung together as a suite.